Using a five-step process that has improved upon industry standards and been perfected over years of experience, we offer the best floor coatings on the market, and continue to strive for improvement with every floor we install-all part of my passion for what we do. We are constantly innovating new products and methods to create the best floors; for instance, our new Natural Mica surface gives your floor the appearance of granite at a fraction of the cost. The competitive nature of this business always drives us to stay a step ahead of our competition. 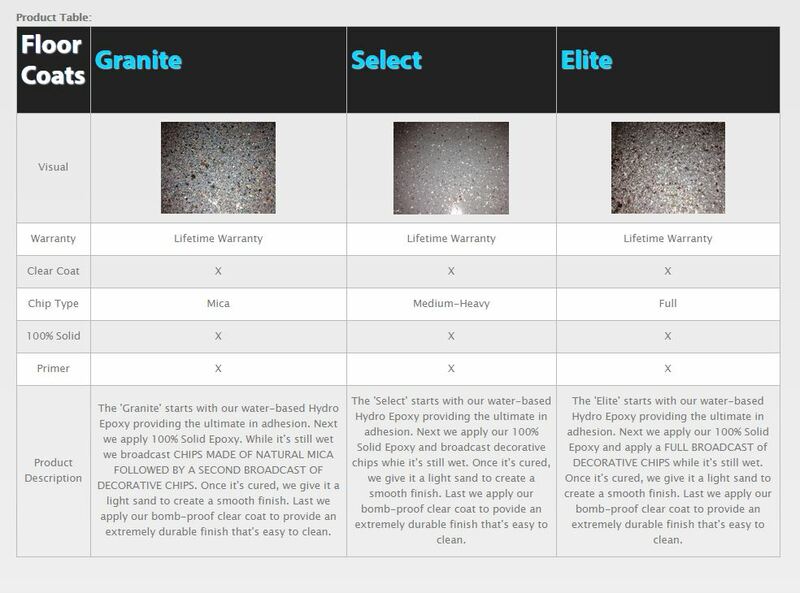 The following process is used for the majority of our coatings. Occasionally, other methods are used based on the needs of the customer or the type of coating that is being installed. Grind: Diamond grind the entire surface, removing any foreign material such as dirt, debris, oils, and other stains. Repairs: Repairs will be performed to the existing concrete by repairing any cracks, damages, voids, and spalled concrete. The majority of the repairs will be virtually invisible once the coating is complete. Flexible Control Joints: Fill the expansion joint (control joint) with a flexible joint sealer, which provides the floor with a seamless look, doesn’t allow insects to burrow into any voids, makes the floor easier to clean, and allows the concrete to expand & contract naturally. Primer: Apply primer coat to the entire raw concrete surface, which will provide a great foundation and incredible adhesion. Chip: a Decorative chip that you have selected will then be broadcasted into 100% epoxy based coat. Clearcoat: The final step is to apply the clearcoat, which provides an extremely durable, chemical resistant, glossy sheen, easy to clean, and a rock hard surface to your garage floor. 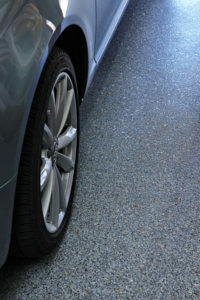 At NM Garage Floors, we deal directly with the manufacturer while offering local installation. This means we can offer you the highest quality epoxy based, chipped coating product garage flooring at competitive prices. We distribute our products across the US and offer local installations. Call us for a quote! Let's Put Your Garage Floor on the Map!